Story added: 28 Sep 2004 19:58. Last updated: 28 Sep 2004 20:13. 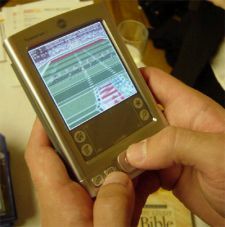 According to reports, Mobile Digital Media is set to port Madden over to the Palm OS and the Pocket PC. The version would be based on the current 2005 make, a definite plus, and would feature full 3D graphics and sound effects, along with the NFL licenses. Mobile is aiming for an October release, offering the game on SD cards for $40.